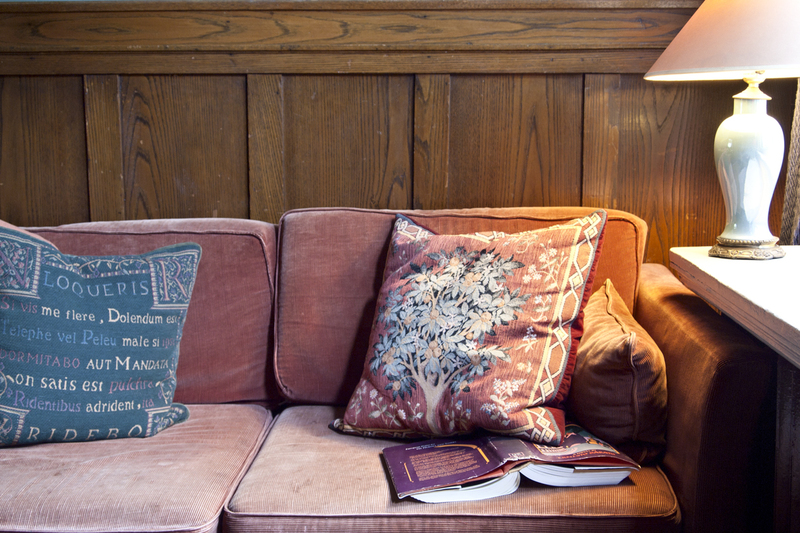 Woman sits on a couch reading. Phone rings. FRIEND: Hi Liz, you wanna see The Meddler this afternoon? 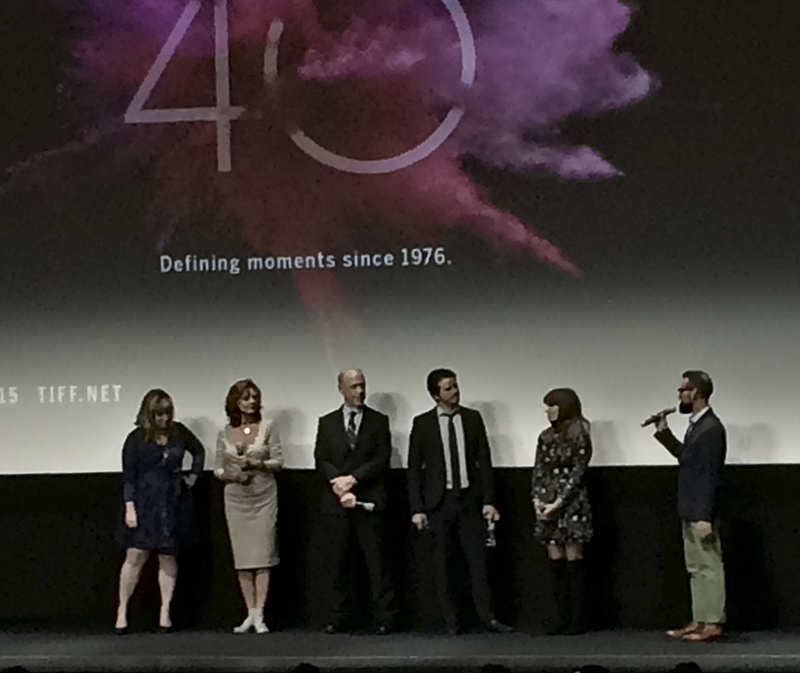 FRIEND: A TIFF movie premiere, starring Susan Sarandon. It’s a comedy. I’ve got an extra ticket. ME: I don’t know. What’s the plot? FRIEND: After her husband’s death, a meddling mother moves to Los Angeles to be close to her daughter. Me: Mmm…okay. I hardly ever see movies anymore, not new releases anyway. Why not? A line-up starts in front of the theatre; it snakes along King Street, up Duncan, around the southwest corner on Pearl, back along the north side of Pearl, then up Duncan again where the two women find the end of the line. FRIEND: Don’t worry, it’s a big theatre. The line begins to move. 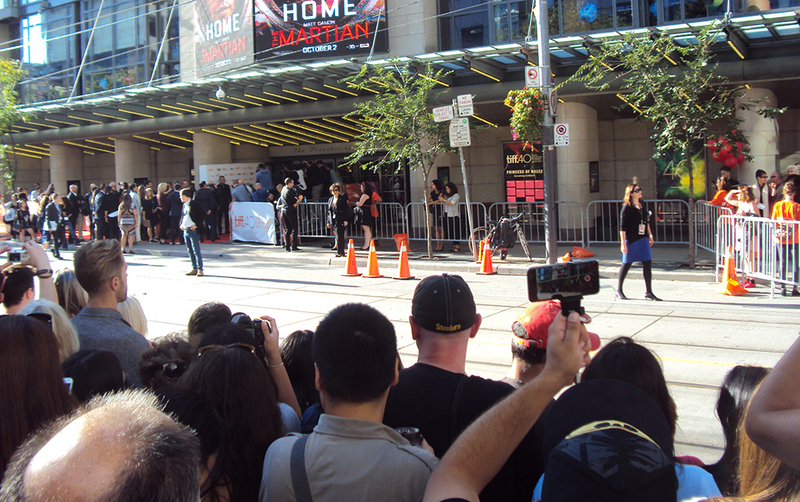 We hear high-pitched screaming from fans behind a barricade on King Street, in front of the theatre. We’re in line so we can’t see the stars of our movie as they arrive. We proceed into the theatre but we’re not allowed to slow our pace as we pass the scrum area near the entrance. I feel like an alien in an unfamiliar place. I’ve never stood in such a long line just to see a movie and I didn’t recognize any of the names in the film, except for Susan Sarandon. FRIEND: Do you know who J.K. Simmons is? FRIEND: Do you know who Jason Ritter is? ME: No. I don’t watch movies much. FRIEND: I thought you watch Netflix. A TIFF official welcomes everyone and thanks sponsors and introduces the film director and writer, Lorene Scafaria. She says a few words and introduces stars Susan Sarandon, J. K. Simmons, and Jason Ritter. Rose Byrne, who plays the daughter in the film, is not there. They walk on stage. Audience applauds. They walk off stage. Movie plays. It is a cute lightweight comedy drama. Susan Sarandon plays the mother. She is in every shot and she carries the film. There are some nice comedic moments; some a little too broad, and the music plays a big part in the delivery of the jokes. It almost takes over the narrative. At about two thirds of the way through, my attention strays and I ask myself, when is Sarandon’s character, Marnie Minervini, going to see the light? I hope it’s soon, I catch myself thinking. Ten minutes later, an eternity in film, after an emotional scene between mum and daughter who finally admit to each other that they still miss the departed dad, Marnie hugs her daughter and says, ‘We are not alone’. Yes! Marnie takes action and the dénouement finally arrives. At the end of the credits we read that the film is dedicated to Scafaria’s two grandmothers, Nonna Irene and Nonna Rosina. The director and actors come out on stage for the Q & A. Someone in the audience yells out, “What about the producer?” Oops. Someone forgot to introduce the producer. She joins the cast on stage. We learn that the main character in the film, the meddling mother, is based on the filmmaker’s own meddling mother who moved to Los Angeles after her husband died. In addition, the film’s storyline mirrors the real-life family story: like Scafaria, the movie daughter, who is a writer in Hollywood, writes a script about a writer in Hollywood and her relationship with her widowed meddling mother who moves from New York to Los Angeles to be near her. Scafaria’s mother is in the audience and she is invited to stand up and show herself. Scafaria says that her deceased father is also in the film as himself. Scafaria explains that the photos in the film, of the deceased father, are pictures of her real-life deceased father. People ask banal questions like, “Susan, did you meet Scafaria’s mother before filming?” Of course, she did. And they got along famously. FRIEND: Those American-Italian accents sounded like the characters arrived from Italy recently and not like immigrants who have lived in the States for decades. ME: And what’s with that egg-fried-in-toast thing Italian Americans are always cooking up in movies? Visions of Moonstruck. The scene of Marnie eating it is too long, even unnecessary. Friend leaves to meet her daughter at Roy Thompson Hall for another premiere. I want to get home. I walk behind the fans penned in behind the barricades, across the street from the Princess of Wales Theatre. A black SUV Jeep with tinted windows pulls up in the middle of the street. Stars crawl out. The crowd screams frantically and desperately calls out to them by their first names, as if they’re best friends. I’ve never heard so many people scream at once like that. Cameras at the ready, people angle to catch a star’s attention, a glance, a smile. I feel like I am surrounded by aliens. I push through the crowd and walk towards Spadina Avenue and a good dose of Chinatown reality. It’s only a few blocks away but feels like another world. A beautiful sunny Toronto September day. A streetcar rumbles by. This article can be found in GOING OUT, in the section What We’re Seeing, and also in WHAT’S HERE in the section The City. I loved this! Makes you understand exactly how she feels, not entirely thrilled by the TIFF experience. It is a story I can really relate to, I would feel the same, the film sounds boring and banal, the screaming at the “Stars” embarrassing … So much nicer to stroll through the reality of a beautiful day in Chinatown, sane and as real as the fan fare around the corner is short lived and insane. Great fun – best description of TIFF I’ve read in a long time.